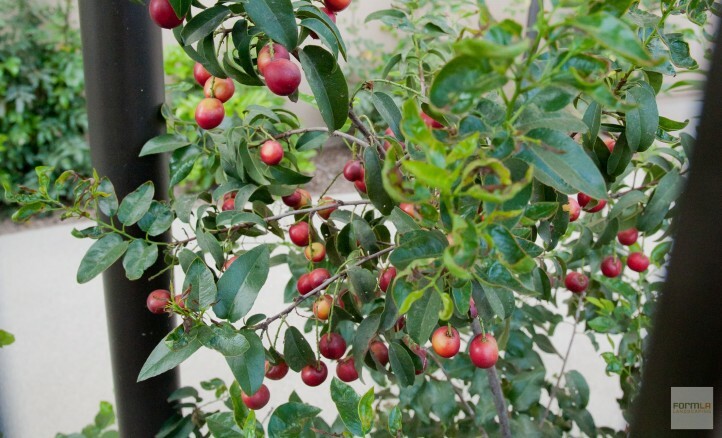 Hedges of edible Catalina Cherry (Prunus ilicifolia), a great alternative to LA's ubiquitous ficus, line the residents' garden. In the spring, these drought tolerant, evergreen shrubs fill with delicate white flowers. In fall, they produce a bountiful and yummy harvest that delights the birds.